One of the tricks of any successful business is the ability to be instantly recognisable in a wide range of locations. And one of the most effective methods of doing this is to hand out some well-designed promotional gifts to your staff and clients. However, since most businesses are using this tactic, you will need to make the products you choose stand out from the thousands out there. This can be done by following these simple tips when shopping for and designing your marketing gifts! You will notice that all of these items are incredibly practical. This ensures that people will use your free gifts in more places which will further your reach and expand your marketing potential. Although you’ll be giving these gifts away for free, you should always prioritize quality over price. Even though you may end up paying more, purchasing items that are superior in make and design will end up reflecting well on your company. On the other hand, cheap products will end up offering presents that are poorly made and which make your business seem unprofessional as a result. For this reason, it’s important to choose a reliable retailer who can customise all sorts of items in the right manner. From the materials used to the quality of the printing. This can be done quite easily by choosing a specialist who has the experience and the equipment to produce some excellent quality items for you and your business. Speaking of the look of the items you create, it’s important to think carefully about the logos and slogans that you use. Not only should these look superb but they should also convey your corporate message in the right manner. If you’re designing smaller gifts such as pens, bracelets or key rings, make sure that your company’s imagery looks first-class when scaled down. You might also consider making the design more colourful and vibrant so that it truly stands out from the promo items your competitors are using. Of course, this will only apply if these livelier designs fit in with your business model. 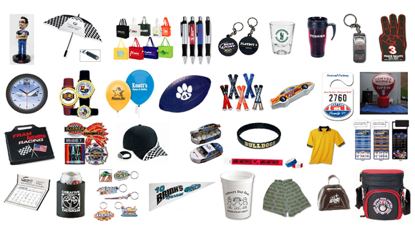 All of these tips will ensure your next batch of promo products really stands out! Not only will they maximise your advertising potential but they’ll will also reflect positively on your company, boosting the image that you portray to the general public. Brianna Flierl is a writer for Dynamic Gift in Australia, a company dedicated to providing quality promotional items. To browse through their product range of promotional pens and more, visit their website. Great thought and i appreciate this post. Thanks for sharing with us this helpful post. Very informative article, thanks for sharing. Great and effective way to market your business is promotional products. Promotional products are cost effective marketing tool. Having your company name and logo printed on these items will surely boost brand awareness for your business. While customer’s constant use of these items guarantees a lot of exposure for your brand. For promo items from Australia you may also visit http://www.davarni.com.au.